IT'S being billed as the biggest battle scene ever filmed. Little wonder Game of Thrones cast and crew can't keep quiet about it. They spent 55 days guaranteeing the story's climactic fight exceeded fan expectations. 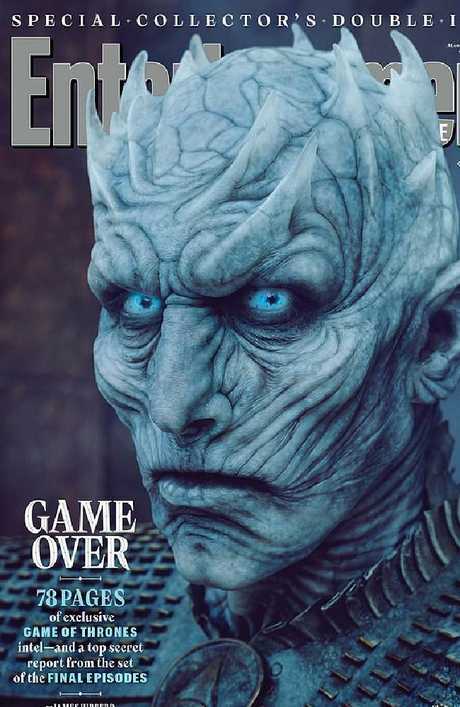 "This final face-off between the Army of the Dead and the army of the living is completely unprecedented and relentless and a mixture of genres even within the battle," co-executive producer Bryan Cogman told Entertainment Weekly. "There are sequences built within sequences built within sequences … It's been exhausting but I think it will blow everybody away." Director Miguel Sapochnik joined cast members in detailing the blood, toil, tears, and sweat they all went through during 11 weeks of night shoots. He wanted something to beat what is widely regarded as the biggest, longest - and best - battle over put on screen: the 40-minute Siege of Helm's Deep in Peter Jackson's The Lord of the Rings: The Two Towers. 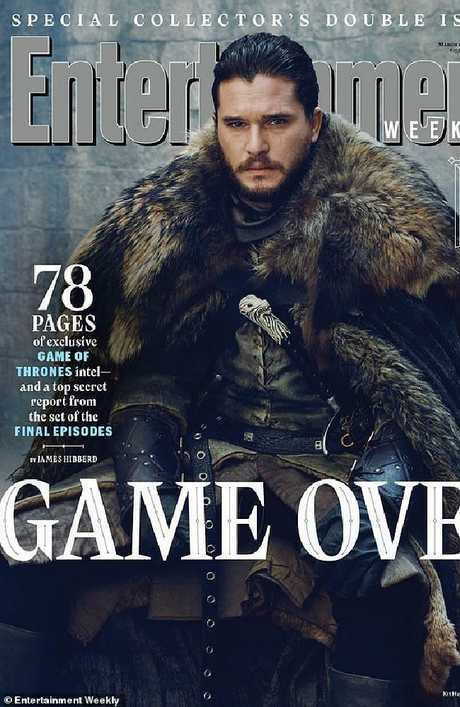 And it had to live up to high fan expectations surrounding the medieval politics and warfare long since established within The Game of Thrones. 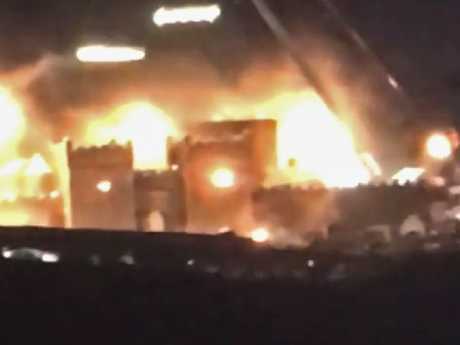 A blurry but significant photo showing the shooting of a Season 8 scene at Moneyglass Estate in Toome, Northern Ireland - the fortress of Winterfell. Courtesy: Watchers on the Wall. The ultimate clash between the living and the dead. 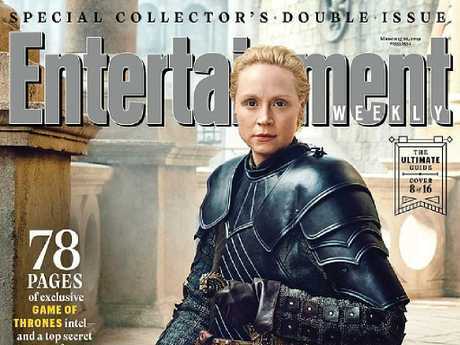 And EW has set the scene for us: "Here fan favourites like Jon Snow (Kit Harington), Daenerys Targaryen (Emilia Clarke), Tyrion Lannister (Peter Dinklage), Arya Stark (Maisie Williams), Sansa Stark (Sophie Turner), and Brienne of Tarth (Gwendoline Christie) are fighting for their lives, impossibly outnumbered against a supernatural enemy." The show's producers and actors say they gave it their all. Ser Jorah Mormont (Iain Glen), Samwell Tarly (John Bradley) will also feature in the epic fight. 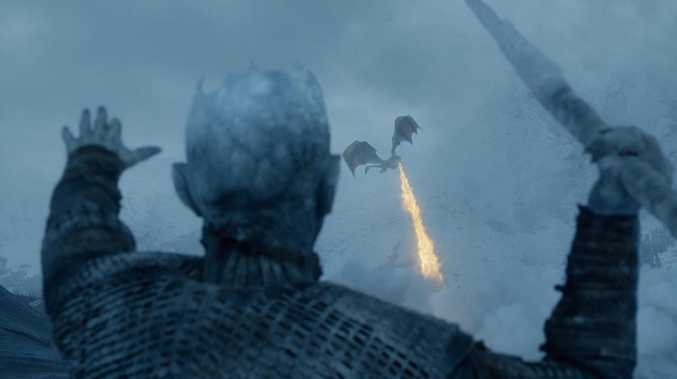 Peter Dinklage, who plays Tyrion Lannister, described the battle to save the Stark family's hereditary home of Winterfell as "brutal" and makes the already visually impressive Season 7 Battle of the Bastards look like "a theme park." "Everybody prays they never have to do this again," says Rory McCann (The Hound). "I heard the crew was getting 40,000 steps a day on their pedometers," says Liam Cunningham (Ser Davos Seaworth). "They're the f - king heroes." 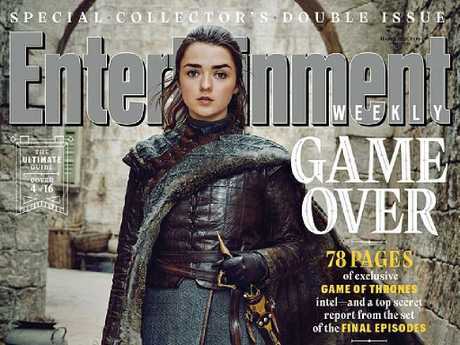 But the Battle of Winterfell will be Maisie Williams' (Arya Stark's) first big battle scene in the show's eight-year history. "I skip the battle every year, which is bizarre since Arya's the one who's been training the most," Williams says. "This is my first taste of it. And I've been thrown in at the deep end." She says she was contacted by Director Sapochnik a year ago and warned the upcoming scene would be demanding. "Nothing can prepare you for how physically draining it is," Willisams says. "It's night after night, and again and again, and it just doesn't stop. You can't get sick, and you have to look out for yourself because there's so much to do that nobody else can do … there are moments you're just broken as a human and just want to cry …"
Director Sapochnik says while Williams' and other cast members may have had to engage in endless physical gymnastics, his own was the mental equivalent. And that wasn't because he was having to co-ordinate three separate units shooting three separate scenes, all at once. Sapochnik directed many of the episodes containing Game of Thrones other epic battles, such as Hardhome and Battle of the Bastards. He was worried about viewer 'battle fatigue'. How could he keep everyone interested as swords flashed, blood flowed and arrows flew - over and over again? "Ask yourself: 'Why would I care to keep watching?'" he said. And there was another serious problem: Too many good actors, playing too many characters central to the plot. It's the largest gathering of major characters since episode one. "(If we) broke it down into so many pieces it would be shot like a Marvel movie, with never any flow or improvisation," Sapochnik said. "There's an efficiency to that. But I turned to the producers and said, 'I don't want to do 11 weeks of night shoots and no one else does. But if we don't we're going to lose what makes 'Game of Thrones' cool and that is that it feels real.'" And that's why he put his performers through 11 weeks of night shoots, in the bitter cold, for one final, epic battle.